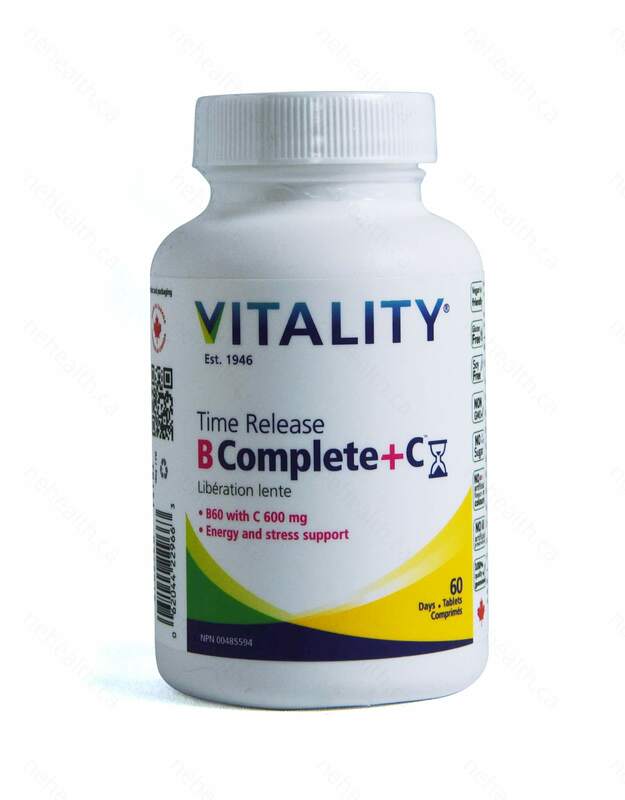 Designed to support you during times of stress, Vitality combines a B60 Complex with Vitamin C 600 mg in a convenient one a day tablet that slowly releases nutrients to effectively support your body and mind.Your body requires higher levels of B and C vitamins during times of ongoing stress. B vitamins are a family of vitamins – or complex – that are essential for energy production and increase serotonin, a mood enhancing hormone. Vitamin C, a key antioxidant, helps protect your cells from damage. These vitamins are best taken together to support your body. Vitality's tablets are free of waxes, enteric coatings or hard pressing. 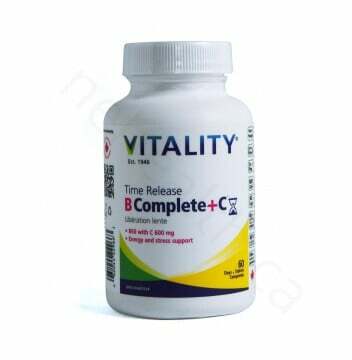 Instead, Vitality's specially designed tablets use plant fibres to slowly break down and effectively absorb nutrients including water-soluble B and C vitamins that otherwise rapidly flush from the body. contains no gluten, sugar, soy, artificial colours, flavours or preservatives. 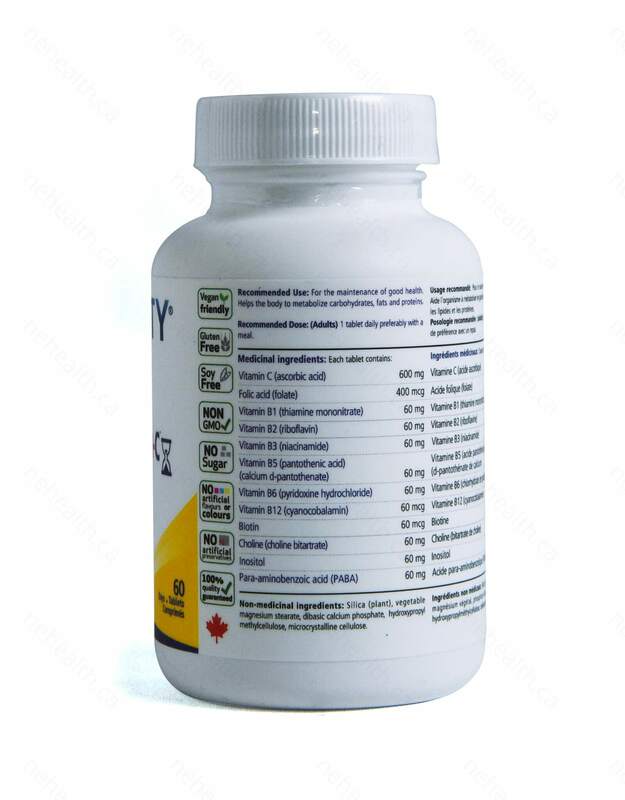 Vitality is also free of genetically modified ingredients (GMOs). Adults：1 tablet once daily preferably with a meal.